Dr. Tim Pohlmann is currently busy trying to transfer the subject of his doctoral thesis into the business model of his startup IPlytics. The idea is to develop a market intelligence tool that analyzes market developments, technology trends and patenting on a single, unified platform called OpenPSP. The awarding of IPlytics for this year’s ICT-innovation prize shows that this business idea has a lot of potential. Tim Pohlmann together with his team received the award today at the International Consumer Electronics Fair (IFA) in Berlin. 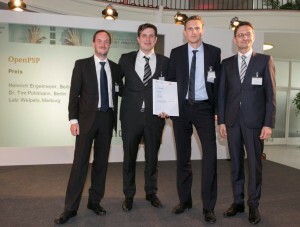 With the ” ICT Innovation Prize” the BMWi awards the best business plans out of more than 300 applications. The Federal Ministry of Economics and Technology (BMWi) supports startups that have innovative ideas for information and communications technologies (ICT). 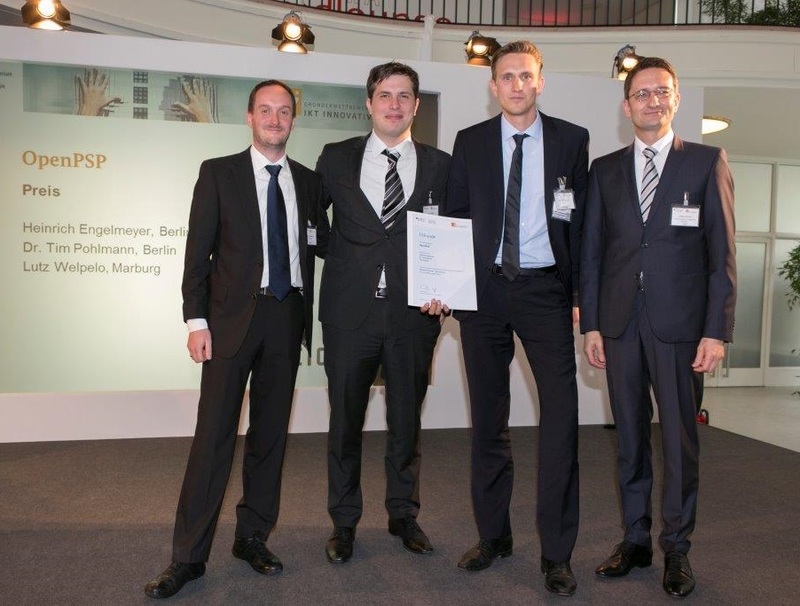 Berlin Startup IPlytics increases transparency in the patent thicket! In recent years, numerous patent disputes have caused damages and menace to many industries. Only this year Apple had to temporarily stop the selling of its iPhones and iPads in Germany over the patent dispute with Motorola. Just a few month ago, the Samsung Galaxy Tab was banned to be commercialized in the whole European market on the basis of patent infringement. When companies fight for patent infringement quite often hundreds of million Dollars are at stake. However, not all companies have the means to fight in court. Many innovative firms thus state that there is a need for transparency in the dense thicket of patents to prevent patent disputes beforehand. The Berlin-based startup IPlytics has taken on the task to shed light on the patent thicket. Several years of research at Professor Knut Blind’s Chair of Innovation Economics have brought up new methods for measuring and understanding patent activities in the ICT sector. IPlytics’ market analysis combines economic methods with IT-driven algorithms to process new information on R&D activity, technology trends and market developments. The main product and service of Iplytics is the online platform OpenPSP (Open Platform Patents and standards ). OpenPSP is an online platform that collects and connects current data on patents, products and technology standards with the help of web robots. OpenPSP makes use of data sources that are often freely available in the Internet, but distributed all over the web and difficult to access. With the help of data processing technologies OpenPSP provides its users structured up-to-date information on one single unified platform. The data linking is based on new methods of economic correlation, regression and indicator analysis and combines them with text mining algorithms. OpenPSP is thus the first solution that is able to connect patent data with technical standards, as well as with market-specific information. In recent years, especially Germany has developed to be an arena of patent litigation. The German patent system is seen as patent holder friendly with a high likelihood of patent enforcement. However, the innovative SME sector feels threatened by the increasing number of patent litigation. Quite frequently, so called patent trolls buy up German patent portfolios to sue for patent infringement in entire industries. Nevertheless, the infringement of patents in the IT industry is in many cases unintentional. The scope of patents is often very wide and patent infringement is difficult to detect in the dense thicket of patent claims. Though, once a company has established its product on the market it is often too late to late to row back. Companies should therefore conduct precautionary measures in advance. Intelligent patent software solutions save lengthy searches and help innovative companies to hedge early. IPlytics provides a new service to support a company’s innovation and technology management. OpenPSP increases transparency on market developments and on the existence of patents, standards and technologies. Foresight screenings of patenting and standard setting help companies to identify possible licensing cost or legal problems in early periods. The risk potential for the launch of new technologies or products can thus be quantified and valued in early stages.